Thanks for the brilliantly written, intelligent piece on Sinatra’s “It’s a Lonesome Old Town” – I have so enjoyed reading it. “Only The Lonely” is one of my two favourite Sinatra albums (the other one being “No One Cares”) – I keep on returning time and again to Sinatra in his melancholic mood – these songs touch me on a deep level, much more so than the “swinging” Frank – and these two albums are the cream of a really great Capitol crop for my money. The sound of “It’s a Lonesome Old Town” is bleak but beautiful. This is Sinatra’s “noir” sound (the film critic David Thomson wrote that Sinatra’s is a noir voice – I love that) – it seems to conjure up images of deserted city streets at night and cigarette smoke in the lamplight. I thank you again for writing such an insightful blog. Thanks for your very kind words! 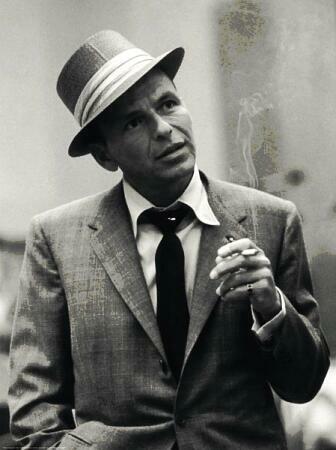 I’m so glad you enjoyed it, and I’m with you entirely – there’s performances and songs and arrangements all over Sinatra’s swing records that I love, but it’s the ballad albums that I always come back to. I just looked up that quote of David Thomson’s that you mentioned and found it in an obituary – do you know whether it was an extract from a longer piece or just a quote he gave in response to Sinatra’s death? I’d love to read more of his thoughts if possible. Isn’t that a great sentence? Thomson manages to put into words exactly how I feel when I hear these wonderful Sinatra ballads. The synergy created by Sinatra and Nelson Riddle on the “Only The Lonely” album is sublime. It’s great! Thanks for digging it out for me. I’ll be looking for a copy of that book now!